In retail’s highly competitive landscape, retailers are always on the lookout for the next best thing in marketing. If you’re still wondering how effective influencer marketing could be, we share insights from Taryn Williams, CEO of theright.fit, on how to put your brand out there through the power of influencers. There’s more to just using the glamour of social media trendsetters to your advantage, as Taryn shows us exactly how this works. RLC: What are great examples that you’ve seen or experienced when it comes to influencer marketing making an impact in retail? Taryn: Showpo is a brand that absolutely nails it on every front with their influencer marketing and content creation. Their brand ambassadors (starting with the founder, Jane Lu) live and breathe the brand and create authentic content and stories that drive brand awareness, positive brand sentiment, and conversions to purchase. They work collaboratively with influencers to tell a story that resonates with both the brand and the influencers audience, and the tone of voice is so easily identifiable as Showpo. RLC: What are the usual tips you share with retailers when it comes to influencer marketing? Taryn: Define your objective and target audience before you get started! It’s amazing how many brands haven’t thought about whether they are trying to drive sales of a particular product, or increase brand awareness, or reposition the brand, or drive website traffic (and to which specific landing page) before commencing a campaign. 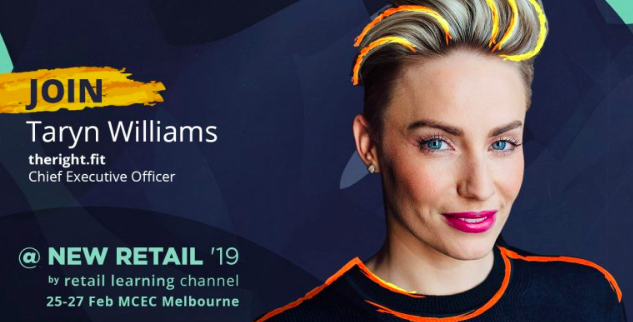 LEARN MORE ABOUT TARYN AS A SPEAKER FOR NEW RETAIL ’19 HERE. RLC: How do you see the retail industry moving forward in terms of engaging audiences through influencers? Taryn: I believe that influencers and content creators will be more involved in the marketing process for retail, and at an earlier stage in the creative ideation process. They will be working collaboratively with brands to tell authentic stories, create content that will work across multiple channels and various touchpoints in a marketing funnel, and will be much more integrated as part of a brands ‘team’. RLC: Are there some points that retailers should know before they take on influencers in their marketing efforts? Taryn: To have a clear brief, budget and outcomes in mind when you brief the experts (whether that’s an agency, or content creator directly), and that you can’t be dictatorial when working with influencers. The reason you chose to work with influencers is that they have built up an engaged audience over time and invested heavily in time, energy and output to be a trusted voice of authority to their audience. Trust that they know the best way to integrate your brand into their storytelling in a way that adds value and deliver to your desired outcomes. RLC: What kind of knowledge and inspiration can attendees at the upcoming New Retail ’19 event expect from you? Taryn: I’d like to demystify influencer marketing for the guests, help them think more broadly about content creation and UGC (user generated content) and ‘who are influencers’ – changing this perception that they are just pretty girls on Instagram! Taryn has built a reputation as one of Australia’s most popular award-winning entrepreneurs and digital influencers. She has proven herself to be a game changer, not shy to press the disrupt button. She was awarded winner of the 2017 B&T Women in Media tech category and recognised for her work with theright.fit winning the 2018 Mumbrella Award for innovation. Join Taryn together with over 70+ speakers at New Retail ’19. You can’t miss this opportunity to learn industry insights that can’t be found anywhere else. Book your seats now to secure your spot!